2. 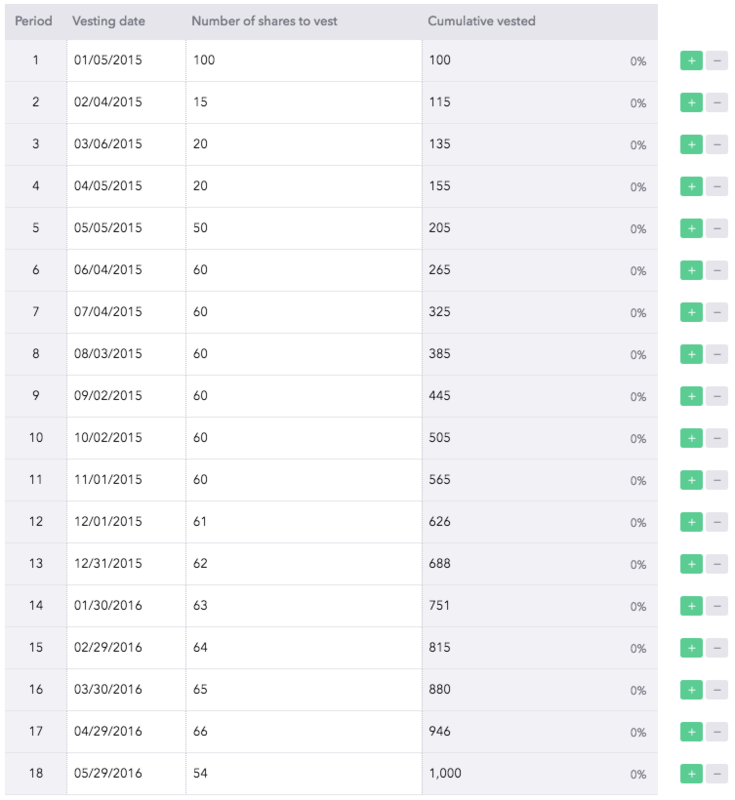 Then fill out the data and enter the dates and amount of shares in the blue columns B and C - do not adjust the green columns F and G.
4. 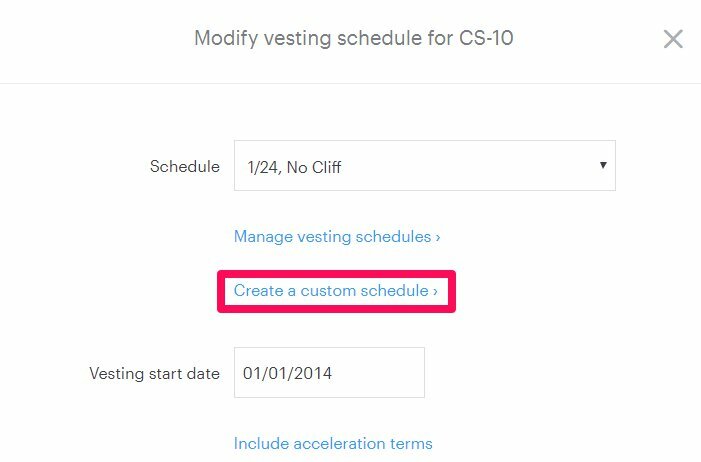 With these columns copied to your clipboard, go back to the custom vesting modal in Carta. 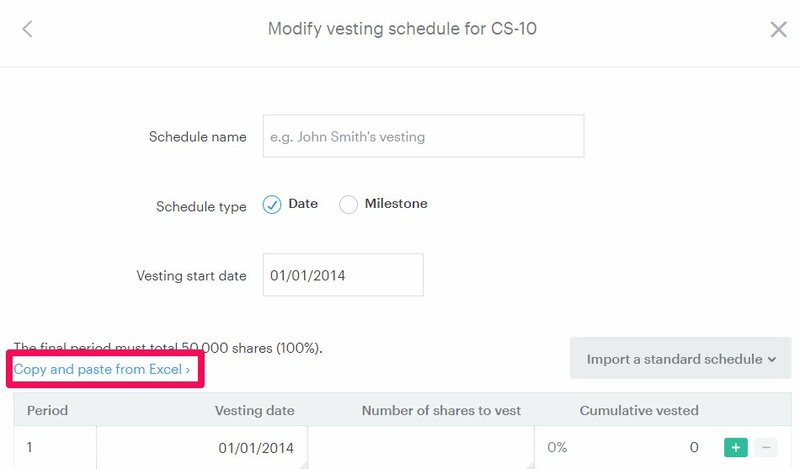 Highlight the 1 period tranche vesting date and paste the schedule into Carta. Note: This works best if you place the cursor at the front of the date in the cell and click only one time into the cell to paste the schedule. 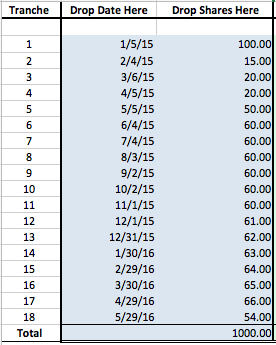 If all the data is entered into the one cell, try clicking out of the schedule and re-pasting. 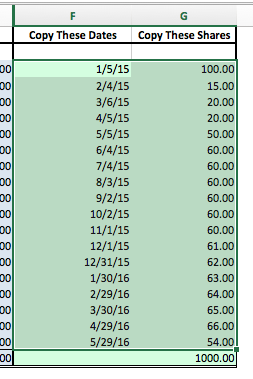 This will paste both columns into the custom vesting modal. 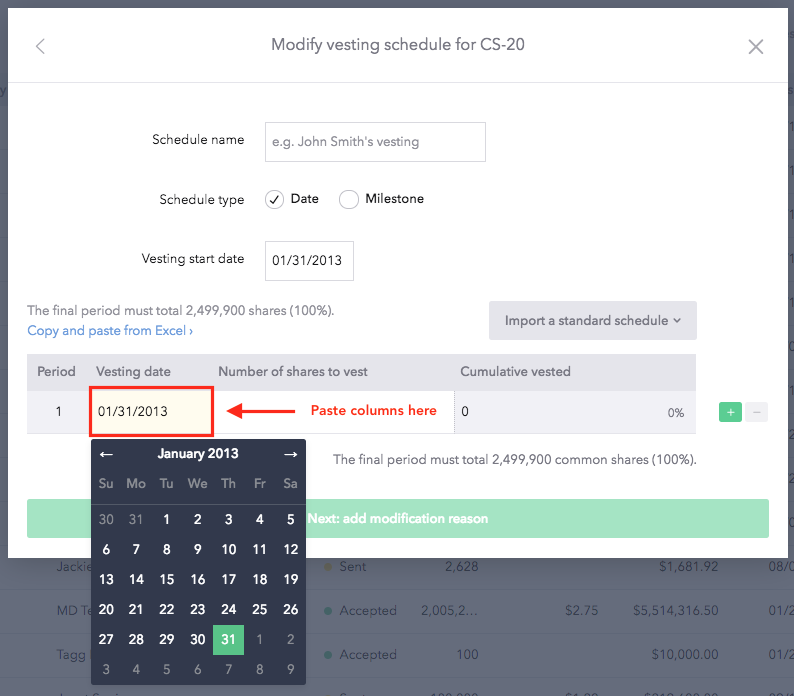 You will then be able to review and save the vesting schedule.